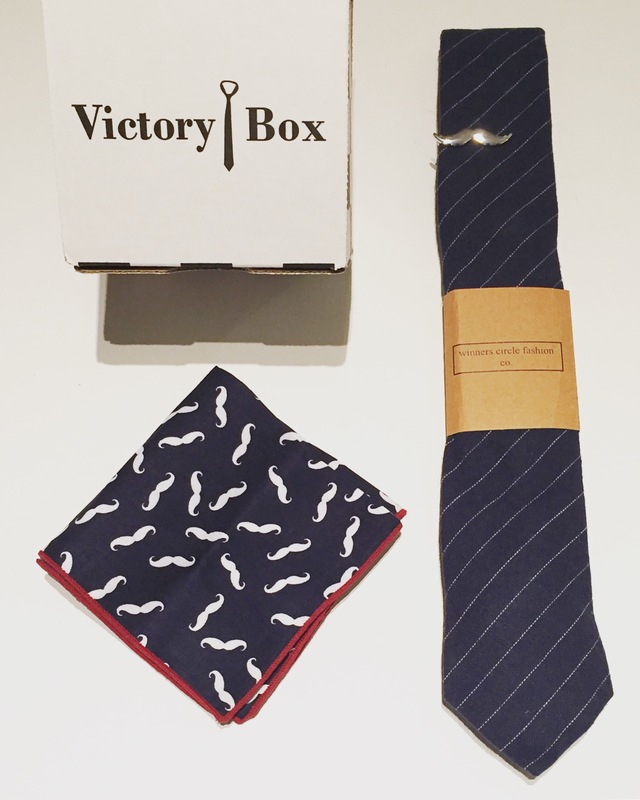 Victory Box – always ensuring ur man looks stylish and dapper enough to be your arm candy! Nothing better than a well dressed man, be sure to get him suited up and looking like a winner. In this box we got some super fun Mouuustache gear! This dark blue tie is nice and soft, very stylish indeed. That pocket square is awesome, love the little moustaches, too adorable. And the tie clip? So clever! I mouuustache you a question,… but I’m shaving it for later.